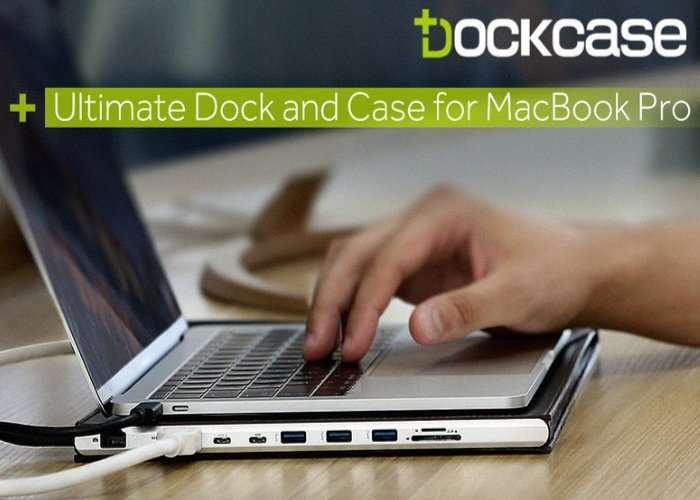 Owners of the latest Apple MacBook Pro laptop may be interested in a new combination case and USB-C dock which has been created by Seesaw and aptly named the DockCase. Watch the video below to learn more about the all in one MacBook Pro accessory which has this week launched via Kickstarter and already has over 330 backers helping the project to progress. DockCase is now available to back via Kickstarter with early bird pledges starting from just $89 and delivery expected to take place during November 2017. For full specifications and more information jump over to the official Kickstarter campaign page via the link below.